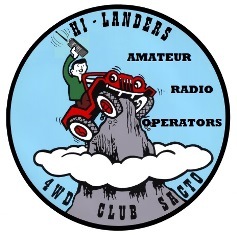 Welcome to the Hi-Landers Amateur Radio Page. 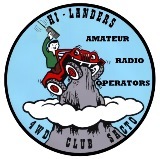 The Hi-Landers 4WD Club is proud to have 41 licensed Ham Radio Operators within our club. Search data base and download rules/regulations. Silent Key Russ Hanson KI6RZL you will be missed buddy. This page was created as a support, reference and knowledge base for our members that are licensed and wish to get licensed. 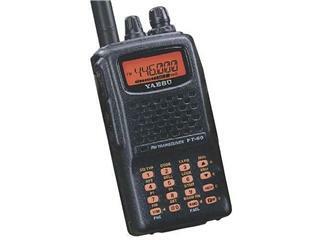 Many of our members own a Yaesu FT-60R HT Radio. Down load FT-60R OEM Owner’s Manual in PDF Click Here. Down load FT-60R Sales Brochure in PDF Click Here. Another popular radio is the Baofeng series from China. Rich (W6EC) of the Hi-Landers club would like to help you study for your Technician Class Ham License. Rich has created a PowerPoint 11 module presentation to help you on your way. Start with the Introduction and work your way through each Sub-Element. The PowerPoint is in PowerPoint Show (PPSX) format. Please email the webmaster (Rich W6EC) if you have problems, we can work together to resolve them. To get full function of each presentation once initiated click on the Slide Show tab then from the beginning that way the wrong answers will drop away. I suggest you use MS office I could not get the presentation to work on Android or Open Office. Copyright 2019 hi-landers.com. All Rights Reserved.